“The Government has serious questions to answer about how it plans to protect the country’s drugs-buying agency, Pharmac, following the release of a significant Trans Pacific Partnership Agreement (TPPA) document,” says Ian Powell, Executive Director of the Association of Salaried Medical Specialists (ASMS). 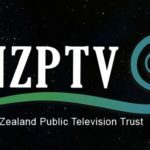 “This document shows that, contrary to the Government’s assurances to date, Pharmac will be left vulnerable and exposed under the TPPA, with pharmaceutical companies able to interfere in their processes to a level not experienced here before. Government claims that Pharmac will not be undermined are wrong. The Annex on Transparency and Procedural Fairness for Pharmaceutical Products and Medical Devices from the TPPA negotiations has been posted on the WikiLeaks website (https://wikileaks.org/index.en.html). It outlines a series of principles and procedures by which agencies such as Pharmac must operate. Mr Powell says that overseas pharmaceutical companies will have unprecedented levels of interference in Pharmac’s work on medicines and medical devices, and will be able to use highly controversial investor-state dispute processes against Pharmac’s ability to negotiating arrangements for the purchase of drugs essential for the treatment of New Zealanders. “This could cost New Zealand many millions of dollars and effectively hold the country to ransom,” he says. Dr Joshua Freeman, an Auckland pathologist, ASMS member and one of the founders of the group Doctors for Healthy Trade, says many of the features of Pharmac that make it such a successful model could largely be neutralised under the TPPA. “The Annex document reveals a number of concessions which tip the balance of power away from Pharmac and toward the pharmaceutical industry,” he says. “When taken together, these changes could exert a major impact on the ability of Pharmac to effectively fulfil its statutory function. Dr Freeman says the use of investor-state dispute processes against the New Zealand Government under the TPPA could negate the benefits for New Zealanders of any Pharmac decisions. “The Australians have closed the investor-state loophole in the TPPA by explicitly excluding their Pharmac equivalent from being subjected to these lawsuits, but New Zealand and Pharmac remain exposed,” he says. 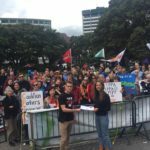 Senior doctors and dentists at the ASMS Annual Conference last year voted overwhelmingly in favour of a formal independent health assessment of the TPPA, expressing concern about the potential impact on health care in this country. 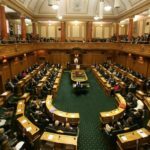 They also voted for the ASMS to oppose the TPPA on the grounds that health care would suffer from the loss of national autonomy that may result. Both Dr Freeman and Mr Powell called on the Government to clearly state its protections for Pharmac and its response to the Annex document released by WikiLeaks. Can Obama Achieve Checkmate for TPPA by November?